On tour to launch their highly anticipated third album ‘Arrow’! Australia’s own stunning landscapes. Their genre-blending sounds are branded as ‘Nomadic Folk-Jazz’. 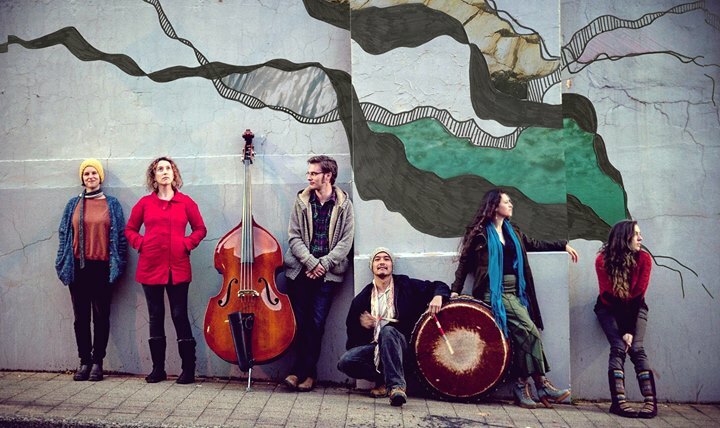 Employing ethereal harmonies (in several languages), a myriad of instruments & a dynamic ability for discovery, Chaika re-imagine and create their own exuberant music traversing incredible landscapes with jazz-like dexterity. van almost completely original suite of work injected with the compositional personalities of all 6 members that will elate, create joy and inspire! Chaika surprise, thrill & move the unsuspecting listener. A joy!